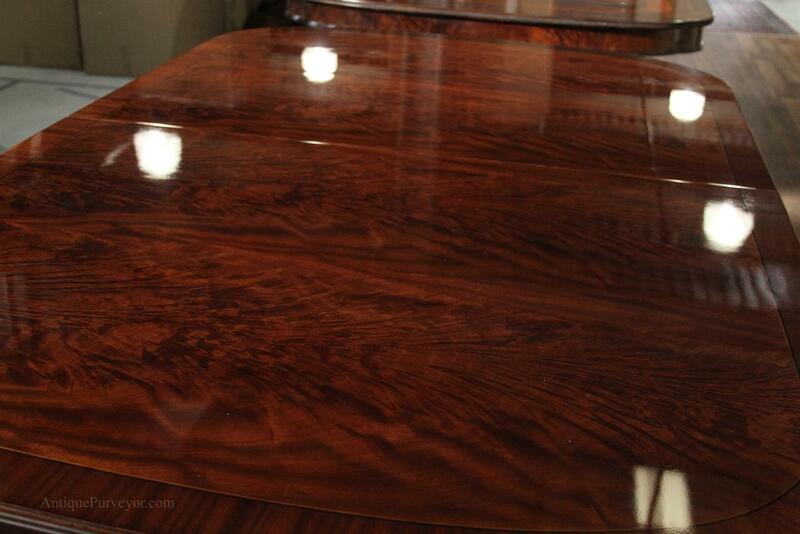 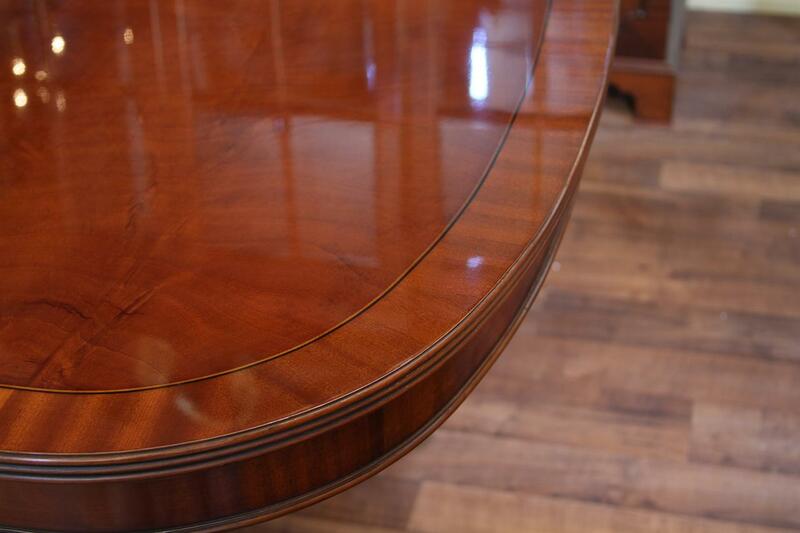 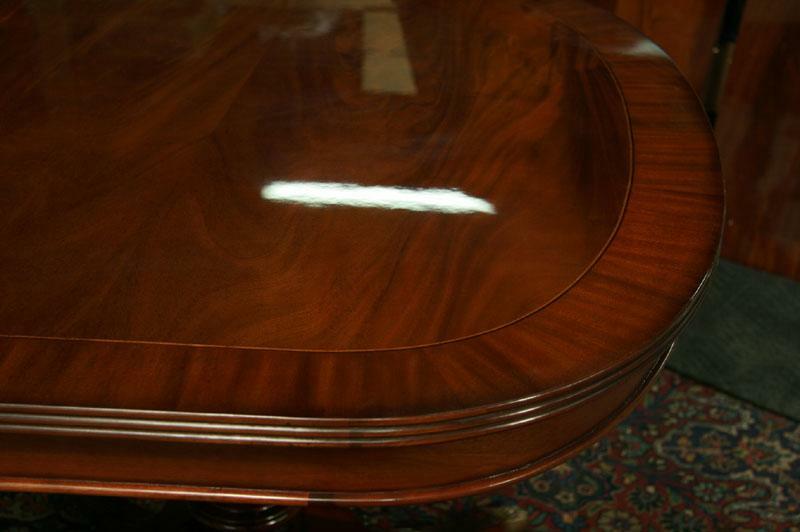 Mahogany double pedestal table shown here with all three leaves. 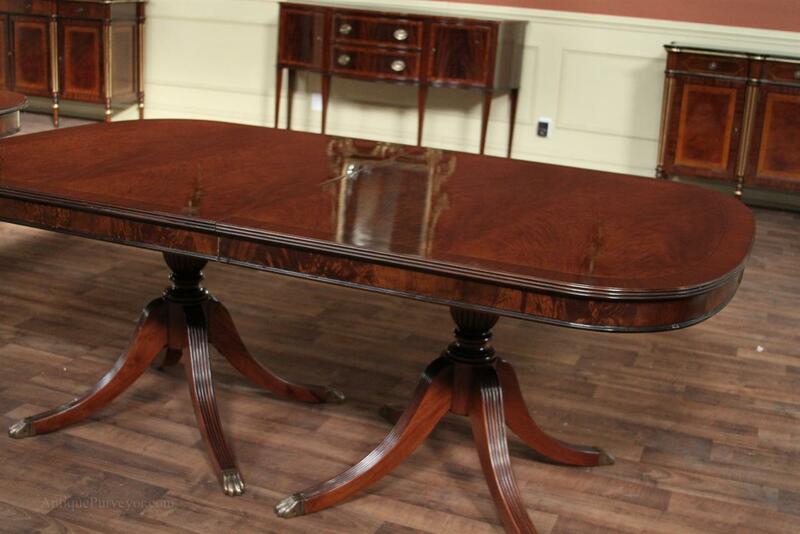 Description: Classic Duncan Phyfe styled traditional mahogany dining room table. 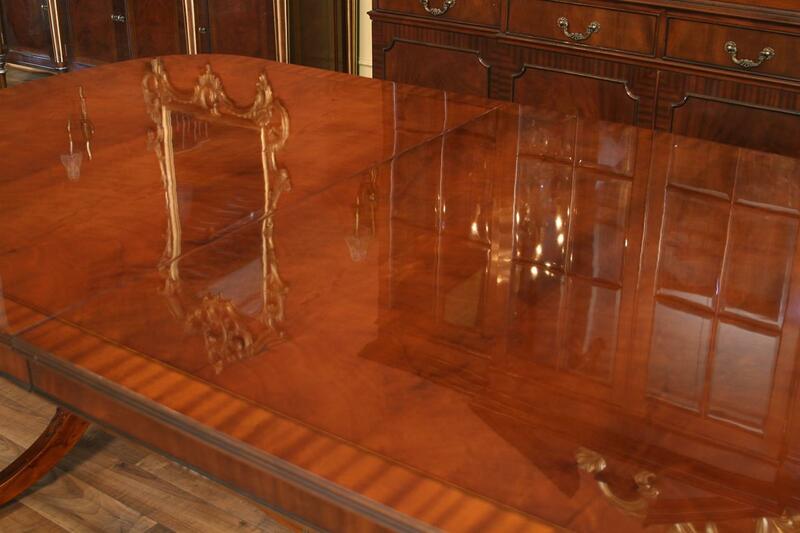 This is a large triple leaf table that meets most of todays table demands while still keeping that wow factor for the special occasion. 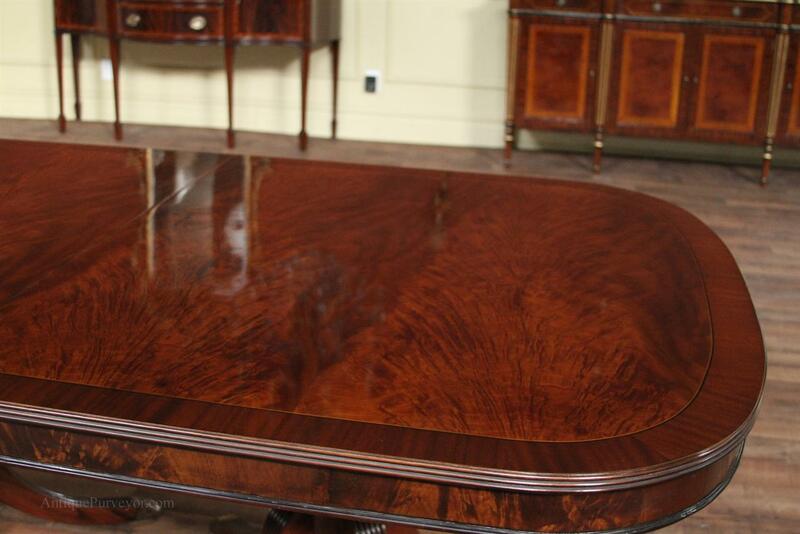 It has a rich brown mahogany finish which will complement antique furniture or newer high end antique reproduction furniture. 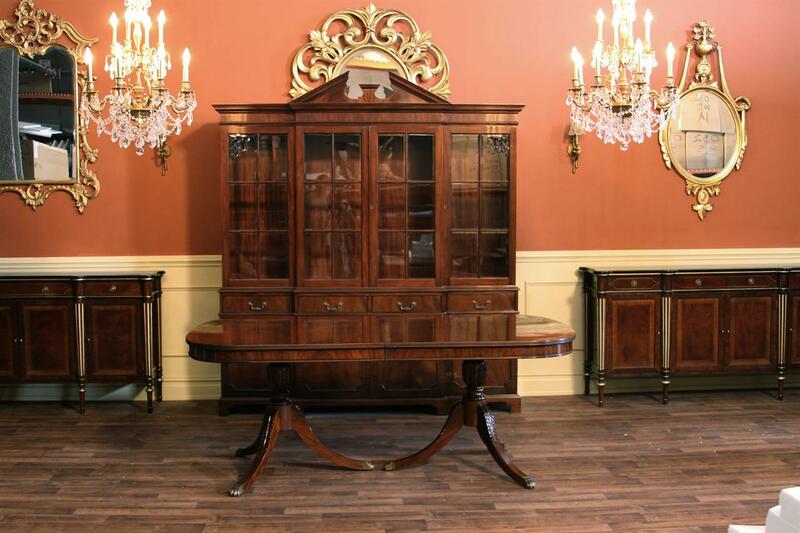 Its design was meant to fit in every traditional and formal space in any home or office. 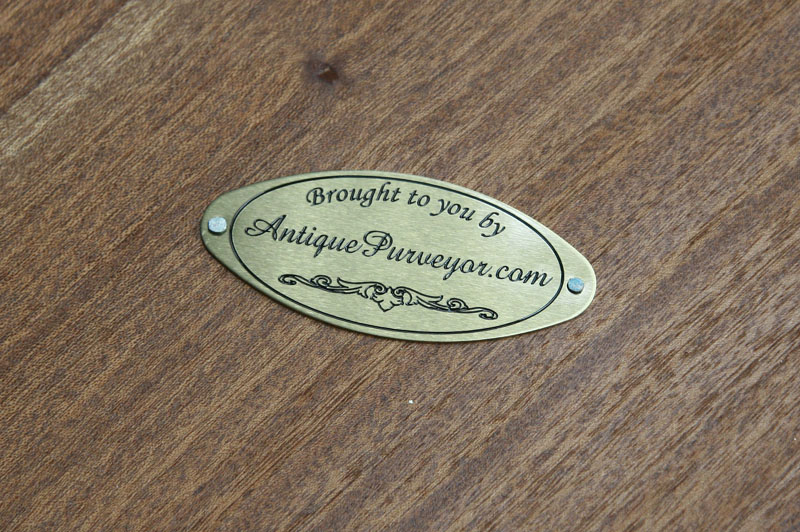 It has a 'D' shaped end, an apron, and a brown on brown mahogany inlaid banding. 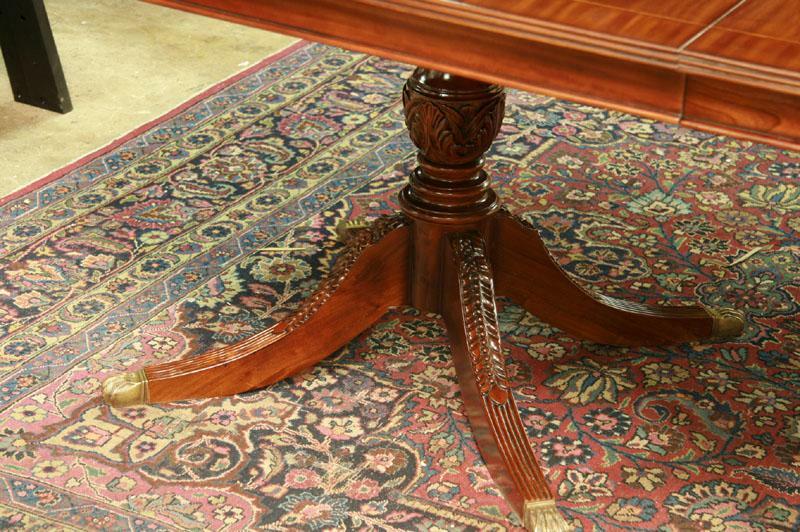 It stands on two four legged solid mahogany pedestals which make this table very sturdy with or without the leaves. 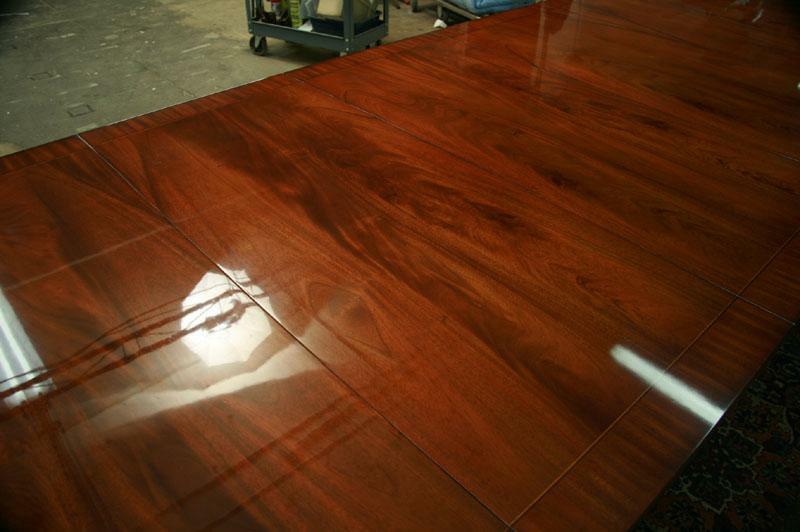 Swirl mahogany field and ribbon mahogany banding keep it simple while still giving enough detail and flash. 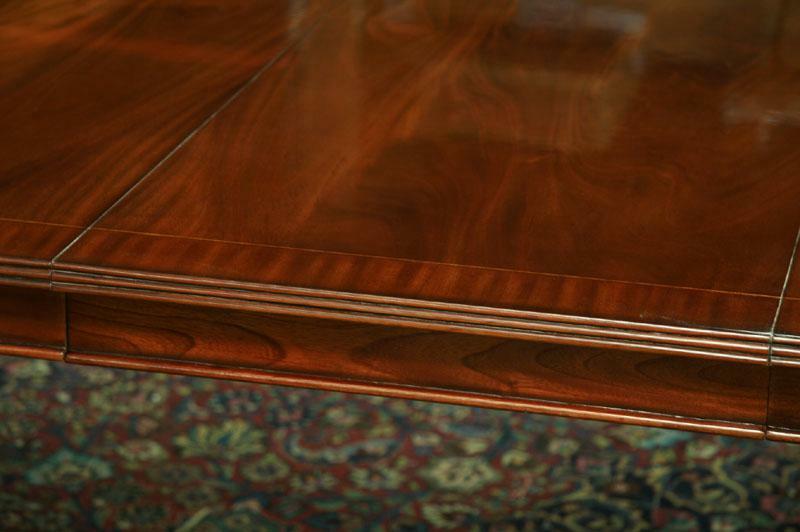 This Duncan Phyfe dining table is built in our factory overseas and was designed exclusively for AntiquePurveyor's online store. 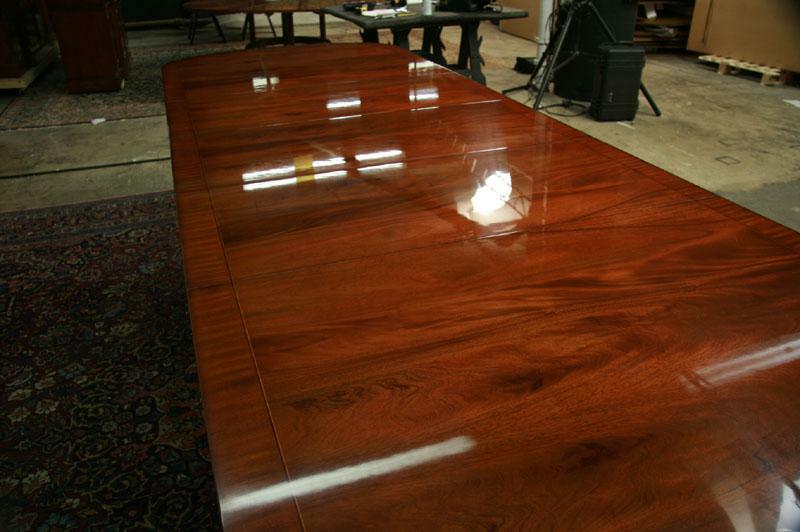 The table can be used with no leaves, 1, 2 or all three leaves to accomodate a variety of different seating arrangements from 8, 10, 12 and 14 people. 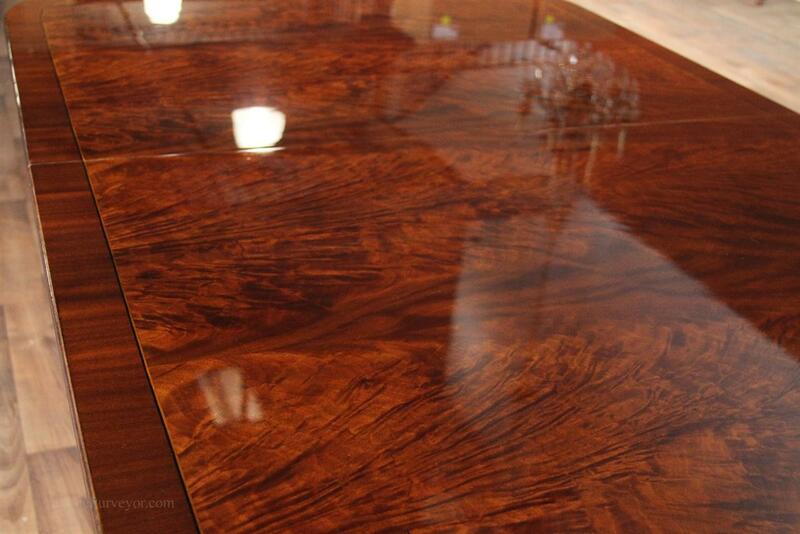 This table is built for sensitive budgets vs American tables that can be 5 times the cost. 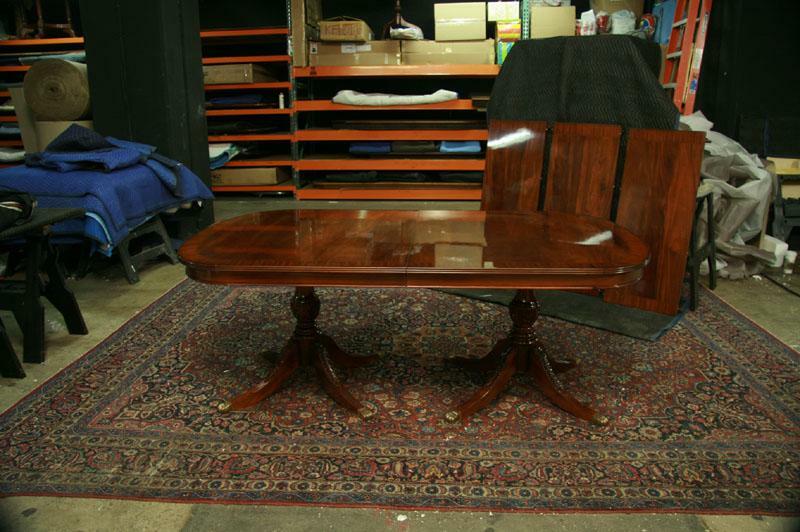 Traditional dining table, mahogany dining table with extensions leaves. 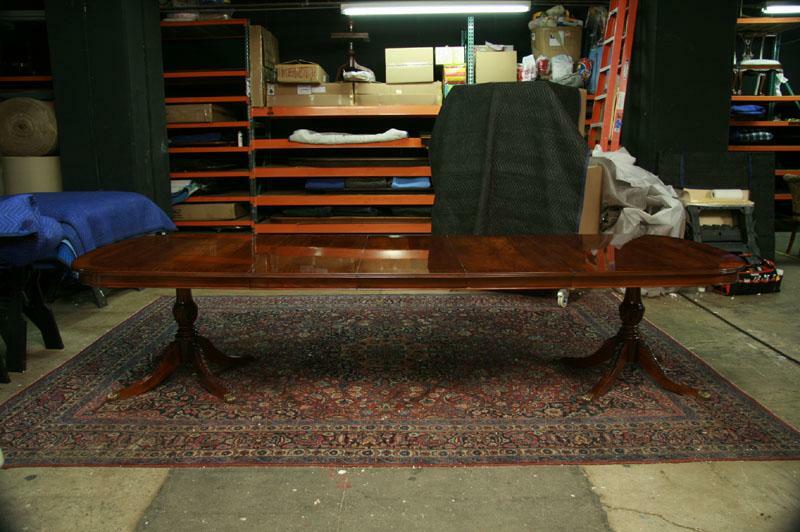 Traditional Duncan Phyfe table with 3 leaves seats 14 people. 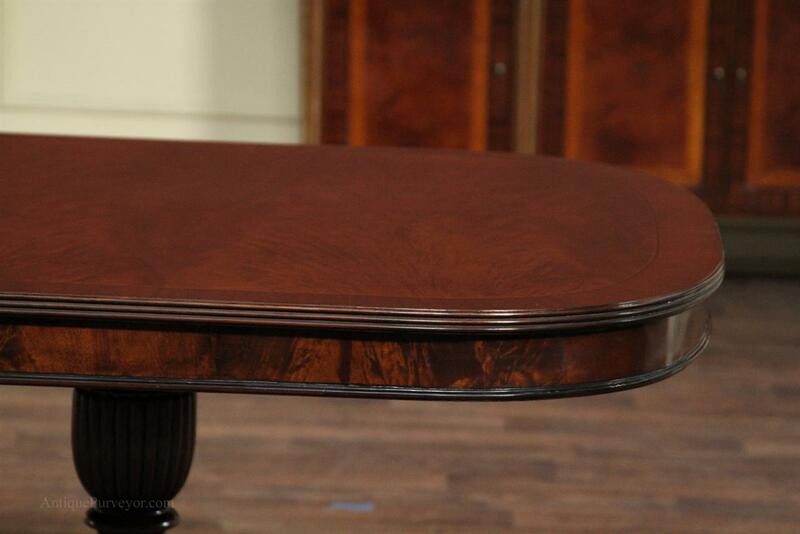 Simple red mahogany table coordinates nicely with vintage 50's colonial revival furniture.